The young woman – I’ll call her Jane – went on the tell me how her mother had been murdered the previous year and while it was traumatic, she almost immediately felt her mother’s presence “like an angel on my shoulder.” Her father just had died a few months ago under no less tragic circumstances due to medical malpractice and she did not feel his presence, which made her question whether he was “okay” after his passing. After watching this psychic on television, Jane became convinced the only way she would know if her father was okay was to pay several hundred dollars for a private consultation with the psychic. After a public conference, Jane waited in the psychic’s suite, where she was “treated” to hearing this woman let loose with a variety of profanities in referring to her office staff, before being escorted into her private office for the session. While relating her story and stating perhaps she needed to die to see if her father was okay, the psychic told Jane, “go ahead and kill yourself.” As you might imagine, by this point in the telling, Jane was sobbing uncontrollably. By now we had moved from the cold concrete to the warmth of the rest stop restroom. I asked Jane how she knew she’d see her father if she killed herself. “Good question,” she said. My entire 90-minute conversation with her was being channeled from somewhere; after a single pastor counseling class, I did not possess the wisdom to deal with someone in this situation. I made her promise that before she did something as drastic as killing herself, she’d remind herself that doing so would not guarantee she would see her father. We walked out of the building together. Jane got in the car with her brother and his friend. I got into my vehicle and sobbed tears of thankfulness that I could be used in such a way. Every day you have a choice. 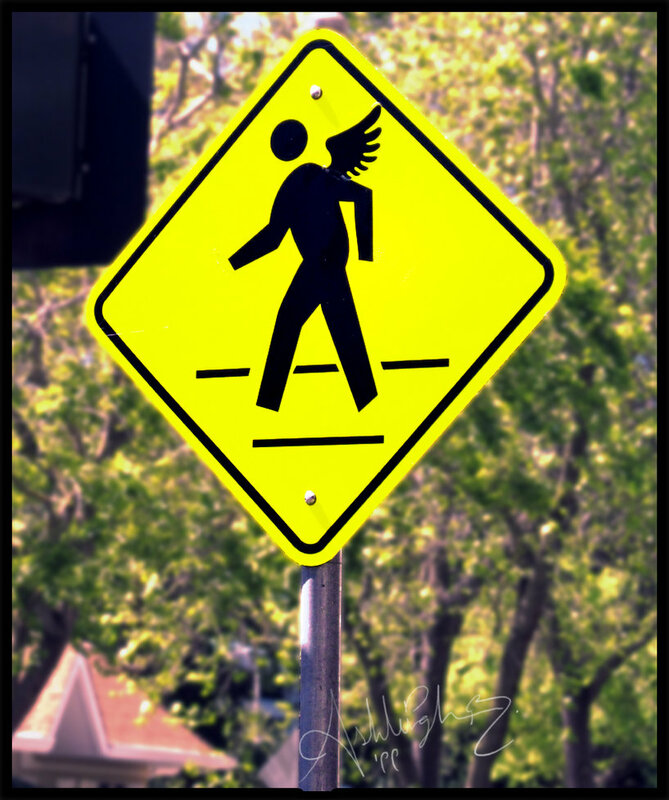 Are you open to being an “angel” or are you committed to being a “roadblock”? As we enter a new calendar year, I’d like to thank all the angels in my life – those friends and family members who live & love openly, share their joys & their sorrows, and are compassionate and passionate.